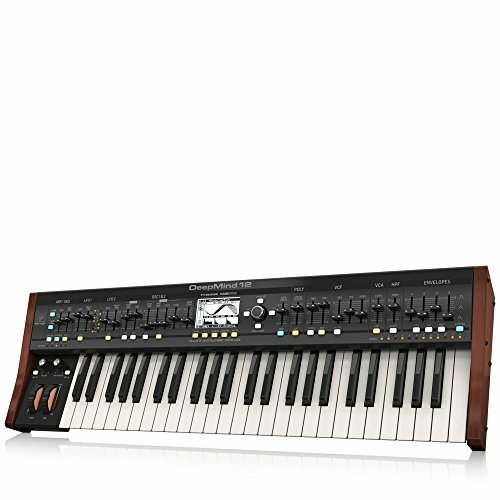 What Is the Behringer Deepmind 12? 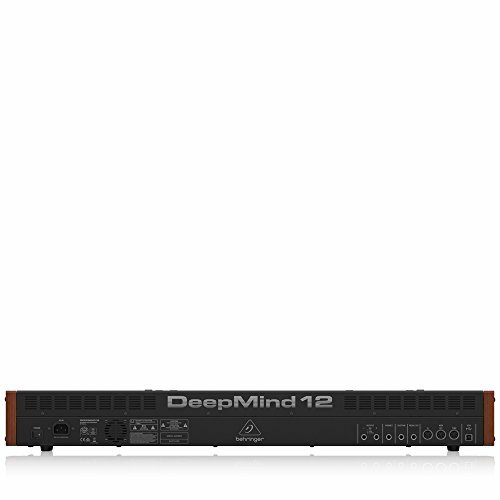 Who Is the Behringer Deepmind 12 Designed for? 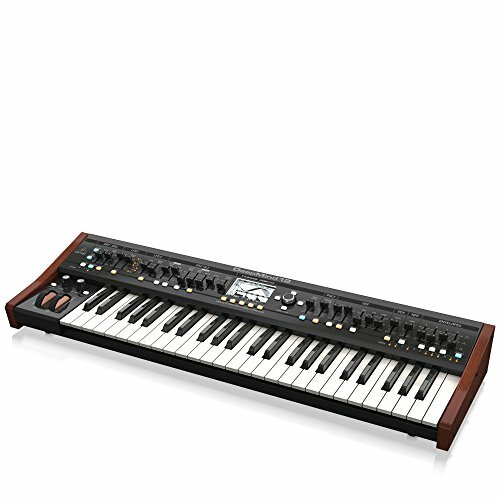 What’s Included with the Behringer Deepmind 12? Conclusion – Should You Consider Buying the Behringer Deepmind 12? Behringer was founded in 1989 in Germany and quickly grew to become one of the world’s largest manufacturers of musical products. While they have long been in the business of making equipment such as monitors, amplifiers, and percussions, their synthesizers are quickly becoming more and more popular. 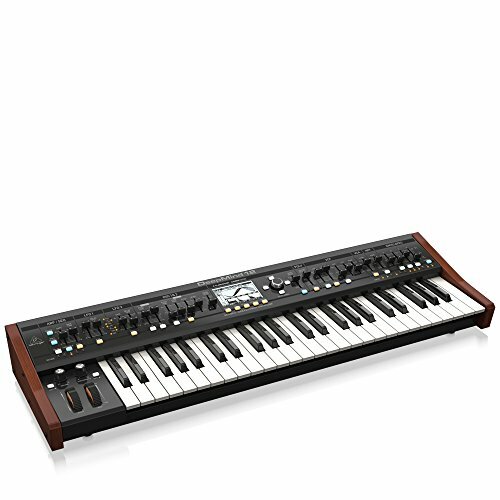 The Deepmind 12 was recently produced and released in 2017 and was inspired by other synthesizers such as the OB-6 and Prophet 6. It was created after the Deepmind 6, and while they may look similar at first, there are a number of differences between these two synthesizers. While this is a durable and reliable synthesizer, there are some musicians who take it to task because of the fact that it is not made by another, larger company. Musicians who are interested in a synthesizer that is responsive and easy to use may be able to benefit from the Deepmind 12, especially since it was so evolved from the Deepmind 6. Unlike the Deepmind 6, the Deepmind 12 has doubled the true analog voices while still offering the same deep and authentic sound. It’s a definite upgrade over the Deepmind 6 and offers the same playability while giving users a little more control over the music that they produce. While the Deepmind 6 was designed for use by beginners, more advanced users will be able to benefit from investing in the Deepmind 12. Thanks to the additional analog voices, as well as the more than 30 algorithms to be used in performance, it’s easy to see how this synthesizer will allow users a lot of control. This makes it great for practicing, but also for performing for larger crowds, such as at a church function. Although there are a lot of different features to enjoy on this synthesizer, the setup is fairly basic. However, the controls can be difficult to use, and since there are so many effects that you can access from the edit menu, it’s easy to get overwhelmed if you are new to using a synthesizer. Additionally, since the Deepmind 12 has four octave keys instead of the three that were on the Deepmind 6, it’s easy to see that users will be able to enjoy a wider range of sound and music. This is great for live performances and for backing up a band, as users can have a lot of control. With the Deepmind 12, you won’t ever have to worry about whether or not you will have the flexibility that you need from your synthesizer or whether or not you can coax the right sound and tone from it. Like most synthesizers that you buy online, all of the included components with the Deepmind 12 are built into the synthesizer. This means that you can easily plug in your new synthesizer and start working without having to invest in other equipment and without having to attach additional items. The synthesizer itself has a tablet remote control to make using the equipment as easy as possible, but even without it, you can easily access the menu on the synthesizer app or editor to make tweaks and changes. The screen is monochrome and rather small, due in part to the size of the synthesizer itself. 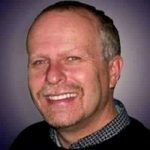 While there was a discussion about updating the screen to being full color, there were development time and cost constraints that prevented this from occurring. The body itself of the Deepmind 12 is designed to be very durable and long-lasting, which is great if you are going to be taking your synthesizer from one location to another when performing or practicing. Even though this is a powerful synthesizer with a four-octave keyboard, the size is rather small. However, the keys are full sized and there is an integrated power supply. Because this synthesizer has so many effects to use and to choose from, it’s a great option for any advanced musician who wants complete control over their sound. There are so many different configurations to choose from, as well as features such as the arpeggiator, synchronized functions, and control sequencer, that you can easily customize your sound. The Deepmind 12 is often compared to the Sequential Prophet 6, and for good reason. Users who are worried about choosing a synthesizer that may have a little more power in addition to four octaves, dual effects section, enhanced poly mod section, and more may want to consider this synthesizer. The problem is that the price is so much more, which can cause a lot of musicians to have to pass up this option. 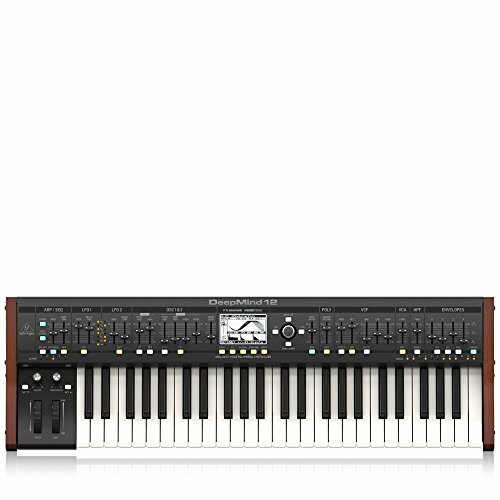 Another great option to consider is the Roland JUNO-DS61. This synthesizer has 61 keys with synth action, is very lightweight, and has an expansion slot so that users can download and use new sound waveforms, if desired. These are available for free and allow users a lot of control over their sound. It’s more in line with the price of the Deepmind 12, as well. The Deepmind 12 is a great synthesizer for advanced musicians who really want a lot of control over their sound. It’s affordable and reliable, but not designed to be incredibly easy to use. Because this synthesizer was designed for advanced musicians, new users should pass on it. It is very powerful and ideal for musicians who are farther along with their abilities and are interested in equipment that will help them push themselves.